Have you ever wondered what it looks like inside the U.S. Capitol? 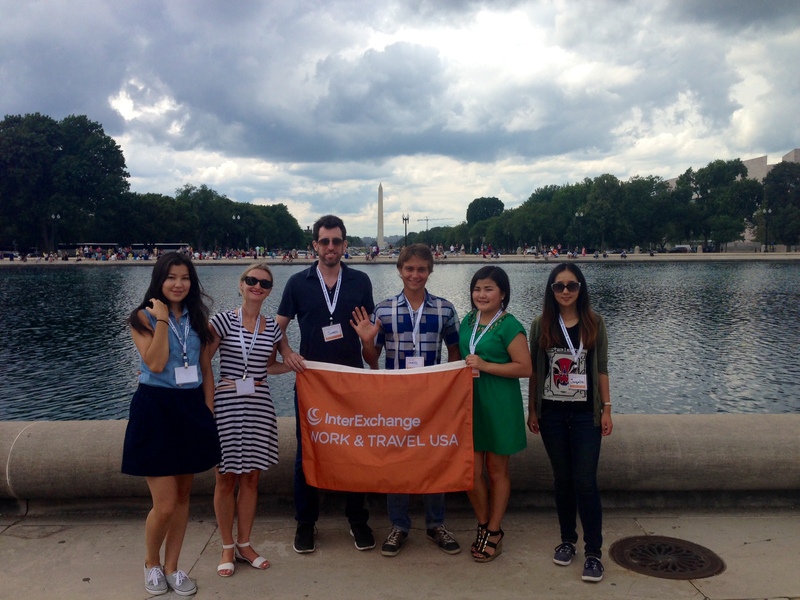 This August, InterExchange participants from China, Kazakhstan and Russia participated in a guided tour of this historical building and got to find out! 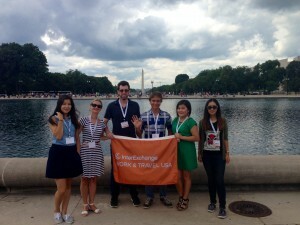 Our group met at the Ulysses S. Grant statue on the Washington Mall. 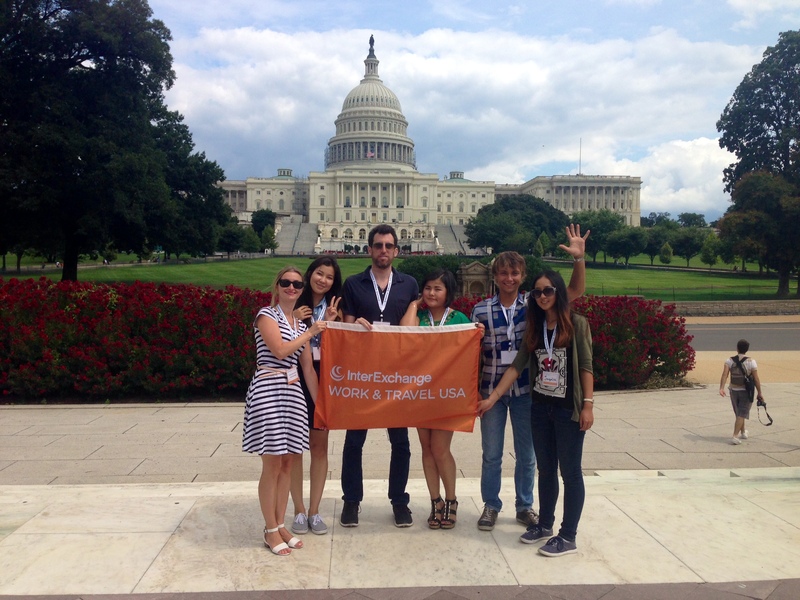 After taking pictures and enjoying views of the Washington Monument, we entered the U.S. Capitol. Our tour started with a short movie describing the history of Congress and other branches of the U.S. government. We were then led into National Statuary Hall, where U.S. states are represented by statues of local historical figures. The highlight of the tour was visiting The Rotunda, the cavernous hall beneath the famous Capitol Dome. Surrounded by a painting of George Washington on the ceiling, and depictions of historical events on the walls, the tour guide shared with us stories of American government and architecture. 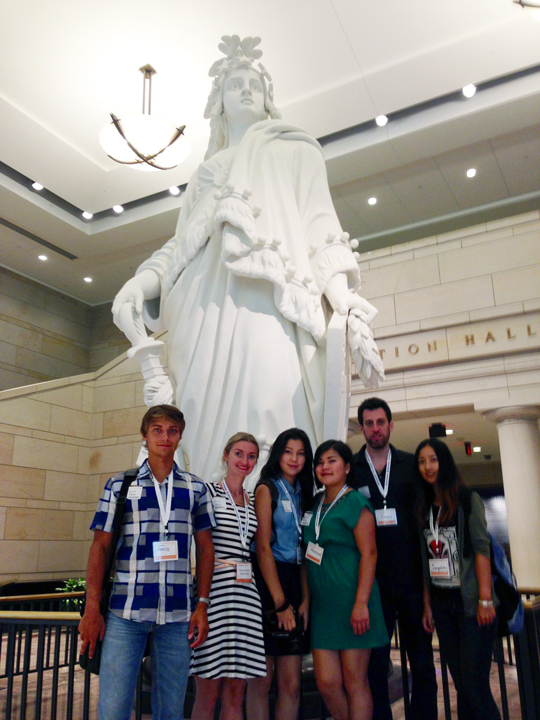 The final stop was a group picture beneath the model used to cast the Statue of Freedom, which sits atop the Capitol Dome.